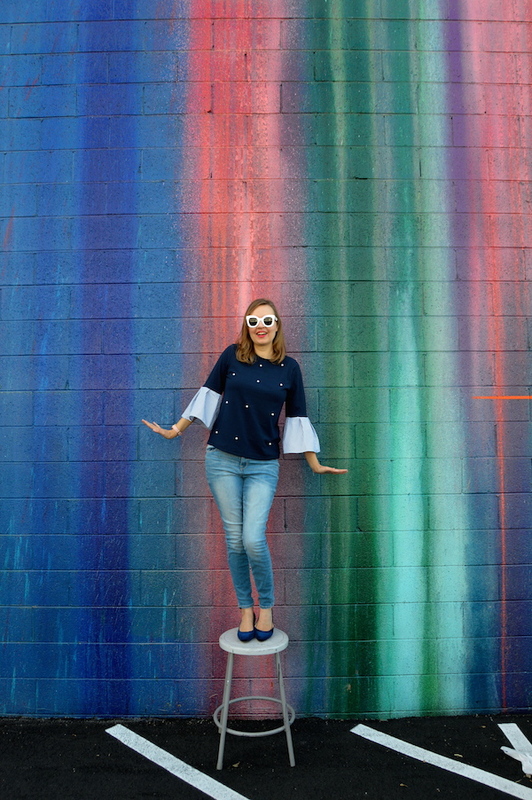 In case you are wondering why I am on this stool, it's because someone left it behind at the colorful wall where I shot these photos! When I saw it, being the slight ham I am, I decided to use it as a prop for these photos. My husband had his doubts about me standing on it, especially since I had a couple of beers with lunch before these pictures were taken, but luckily no skulls were cracked during the shooting of these photos! 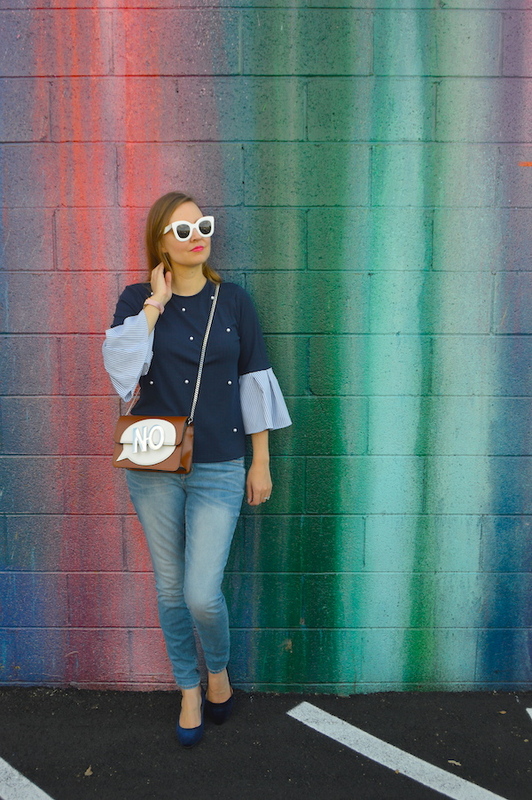 I definitely think the embellished bell sleeved shirt I am wearing from SheIn has as much dramatic flair as me standing up on the stool! 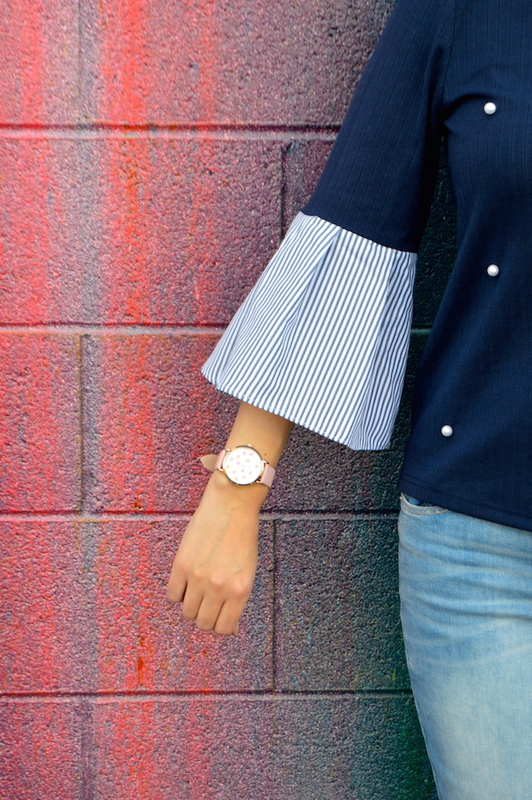 I think what I love most about the top are the bell sleeves that are made from a pinstripe fabric. Plus, the embellished pearl details give it even more appeal. If you like this style of top, SheIn has quite a few other options available, all of which are perfect for the holidays or anytime you have an urge to demonstrate your flair for the dramatic! Some of my favorite options include this pearl embellished bomber jacket and pearl embellished circle skirt. At prices that are all under $30, your wallet can skip the drama! That top is just adorable! As is that crossbody bag! You look adorable as always! 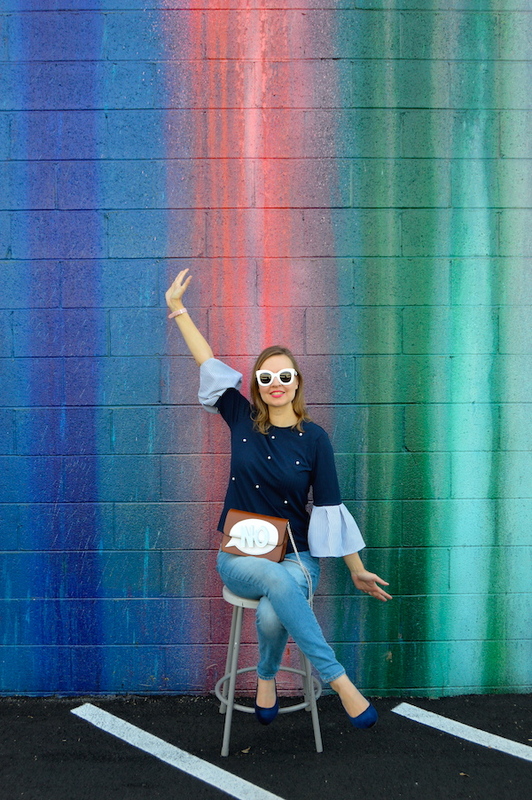 Beautiful top, love your bag and amazing photos!! What a cute top! I love the pearl details. 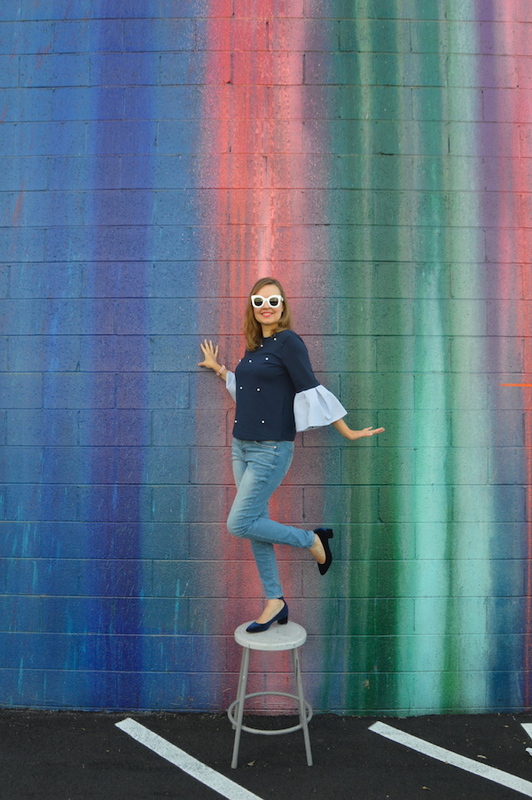 And that seriously is such a fun wall totally meant for shooting pics! I would have taken advantage of the stool too, and your 'no' bag is so fun! I love it Katie! The pearl detail is so pretty. 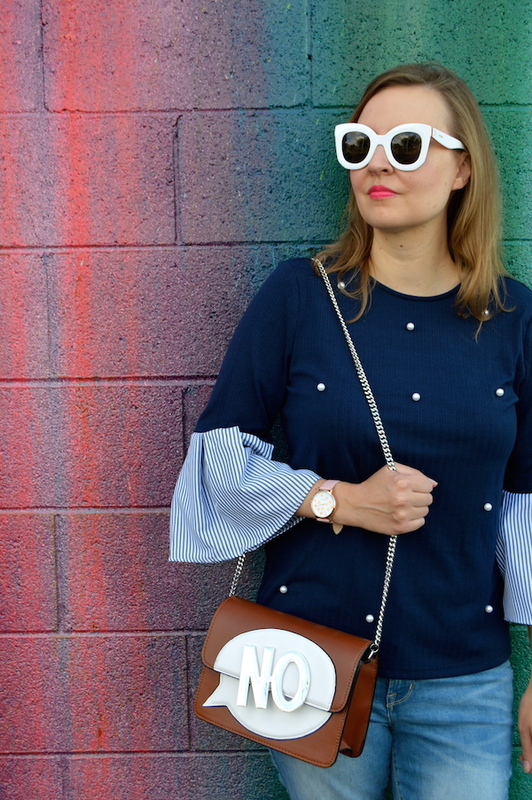 I thought you were wearing a statement sleeve blouse under your navy sweater until i read it was one piece. Looks great and what a fun bag!